Last week I attended the 3rd annual Arctic Circle Assembly, as I also did in 2014. This time we where 500 more participants than last year. In 2014 I was the only Ramboll participant. This year Henrik Fenger Jeppesen, Managing Director, Ramboll Greenland, Miranda Henning, Principal, Maine and Cathrine Henaug, Team Leader Environment, Norway accompanied me. The Assembly is the largest international gathering on the Arctic, attended by 1900 participants from close to 50 countries and is designed to increase participation in Arctic dialogue and strengthen the international focus on the future of the Arctic. Key topics included building Arctic resilience, energy security, economic opportunities and sustainable development. 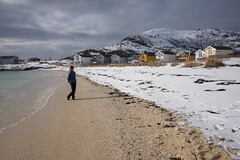 Ramboll hosted an expert workshop on how Atlantic neigbours to the West Nordic Region can support the development of the western Nordic Arctic. I chaired and facilitated the workshop. It was co-chared by Dana Eidsness, Director, Maine North Atlantic Developemt Office. The US state of Maine, which has adopted a strategy for Arctic business development, was represented by a 50-strong delegation at the Arctic Circle that was accompanied by Miranda Henning, Principal for Ramboll Environ from the Portland office in Maine. 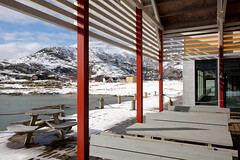 The workshop built on the findings of the Ramboll-hosted roundtable discussion that took place in Greenland last month, which focused on development opportunities for the city of Nuuk. The 31 experts attending the workshop explored how to open up joint opportunities for business and community development across the West Nordic Region. My presentation focused on transmission infrastructure for geothermal energy between Iceland, Greenland, Farøe Islands and the UK – for which Ramboll has been working on a pre-phase feasibility study since April. Inga Dora Markussen had a presentation of the West Nordic Council, a Council for collaboration on development of Greenland, Iceland and the Faroe Islands. The workshop attracted interest from a number of politicians and demonstrates how Ramboll’s pan-Arctic presence enables us to facilitate these influential discussions regarding the future of the Arctic. 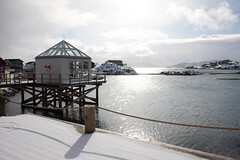 In particular, it provides further input for Sermersooq Municipality to inform their development strategy for Nuuk. We have also had a fruitful debate on which industries in the west Nordic region represent the best opportunities for economic development as well as specific proposals and associated funding models. The main concusions: How can Atlantic neigbors’ to the West Nordic Region contribute to this region’s business Development?